Are you ready to change the view from your window? It is a different real estate market out there from years past. But it is an unique opportunity to make some smart moves toward owning real estate. Now is a great time to buy a house....are you ready to make the next step toward home ownership? 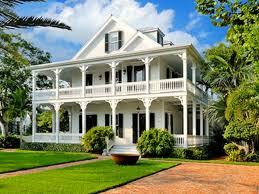 Rates are at historical lows and there is a large inventory of homes to choose from. Smart buyers are taking advantage of this great time to buy. Sellers get ready....things are expected to pick up and inventories will diminish quickly. What do you need to do to get top dollar for your home? Is your home ready for buyers to look inside? If you need help getting your house ready to be placed on the market, let me know. It is always best to plan ahead. with regularly who are available to manage their part of the transaction seamlessly when clients are buying or selling. You are able to choose whomever you want to work with...but if you don't have time...my list of professionals, which make up the Moving With Music team, are happy to work with you. Are you looking to buy or sell a home in North Georgia? Do you need an experienced Realtor in Georgia to represent you? I work with buyers and sellers and will be happy to help anyone ready and motivated to make a move. As you know, buying or selling a home is an important decision that deserves the best professional real estate service and advice possible. That is why I am here! Thank you for visiting MovingWith Music.com. Feel free to contact me anytime. To make it easy a form is below.